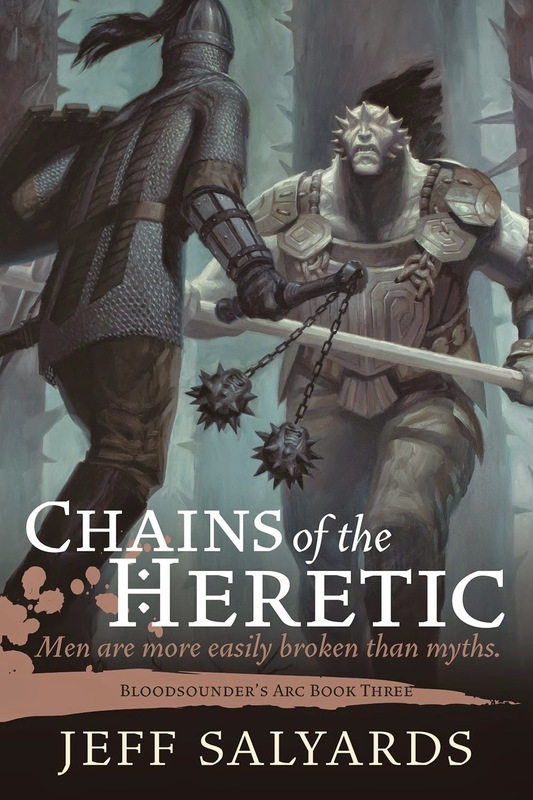 Thanks to Mihai at Dark Wolf's Fantasy review, you can now take a look at the cover of one of my most awaited release for next year, the finale of the Bloodsounder's Arc by Jeff Salyards, Chains of the Heretic. His first book was my debut of the year in 2012 and the follow-up was my favorite novel of last year. You will be able to pick it up February 2016! I'm not familiar with the series. But this looks interesting. Can't read to read the third book, given how much I enjoyed the first two! Jeff Salyards proves himself a skilled wordsmith especially when he really lets loose in his characters’ dialogue, which is full of humor. This final volume also underscores the superb storytelling, bringing the trilogy to a seamless conclusion. I’ve always said that bittersweet endings can be a tricky thing, but Salyards nails it.